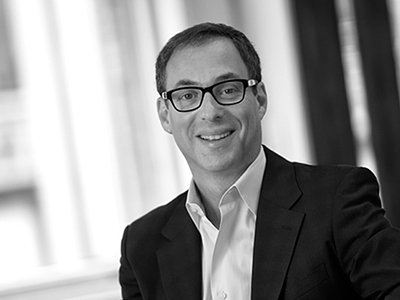 An informal lunch with creative food for thought are on the menu in a Fireside Chat with Paul Leibowitz ’84, president and chief creative officer of Leibowitz Branding & Design, on Monday, Feb. 11, from 11:30 a.m. to 12:30 p.m. in the Blackstone LaunchPad in Bird Library. The event is open to all. Students, in particular, are welcome. Leibowitz will share his story of coming to Syracuse as a student and then launching a world-class branding and design firm after graduation. The format will be an engaging conversation with students interested in learning more about creativity from his perspective managing integrated brand, print marketing strategies for a variety of clients in financial services, education, media and healthcare—and from his unique perspective as a dynamic innovator. Leibowitz, a 1984 graduate of the College of Visual and Performing Arts (VPA), is proud of his lifelong connection to the University. He credits much of his professional and personal success to his time at the University. He has hired as full-time employees more than a dozen graduates from the communications design program in VPA’s School of Design, as well Newhouse School and Whitman School graduates. And every summer he employs one or two interns from communications design, Newhouse or the School of Information Studies. He has donated consistently to VPA since 2001 and has endowed two awards within the college. In 2011, he endowed the Paul Leibowitz Award for Communication and Digital Design, awarded annually to students who exemplify expertise in web navigation via cutting-edge interactive design and use of emerging technology in contemporary communication design. In 2017, he endowed an award in the Department of Communication and Rhetorical Studies—the Paul Leibowitz Endowed Fund for Student Immersion in National and International Engagement—to help students with financial needs participate in the department’s immersion programs. In 2012-13, Leibowitz traveled weekly from his home in Westchester County to Syracuse to teach Intro to Communications Design to sophomores and Communications Design Problem Solving to juniors and seniors as a professor of professional practice. He says it was one of the most rewarding experiences of his professional career. Leibowitz Branding & Design has won numerous design awards and recognition from peers for projects and initiatives that have measurably improved their clients’ bottom line. For Syracuse University, the company successfully completed the research, strategy, design and implementation of VPA’s rebrand, including the college’s website and various print marketing communications materials. In 2015, the company created the interim brand guidelines to provide guidance on how the University relationship is communicated across the schools and colleges, an important step to the University’s recent rebrand. In addition, in 2017 Leibowitz completed the redesign of news.syr.edu and the subsequent update to align the site with the University’s new brand standards. The company continues to work with the College of Engineering and Computer Science, designing its alumni magazine and departmental newsletters. Leibowitz has worked with several other higher education institutions, including Hawaii Pacific University, Stevens Institute of Technology and RPI. In the media industry, Leibowitz Branding & Design enjoys a 14-year relationship with Charter Spectrum as brand guardians. In financial services, Leibowitz Branding & Design works with hedge funds, asset managers, wealth managers, large banks and insurance companies to effectively communicate their culture and offerings. In health care, Leibowitz has created numerous public awareness campaigns for the National Foundation for Infectious Diseases and now helps nonprofit health care agencies navigate the new intricate health care payment system and communicate their offerings to their patients. Prior to launching Leibowitz Branding & Design in 1991, Leibowitz worked in television designing on-air graphics, magazine publishing, package design and small brand consultancies. He has given numerous lectures on entrepreneurship, business practices, design and social media at Syracuse University, Columbia Business School, Gotham Media Ventures, the Financial Communications Society, the Mutual Fund Education Alliance and Investment Advisers Association. To stay current with market trends as well as influence the content of conferences and webinars, Leibowitz is active in many professional organizations, including the American Institute of Graphic Arts, where he is past chair of the Design and the Environment Special Interest Group, and the American Marketing Association. He is a corporate partner of the Mutual Fund Education Alliance, was director of the Investment Managers and Advisors Alliance, is a member of the Investment Adviser Association and is on the board of the Financial Communications Society.